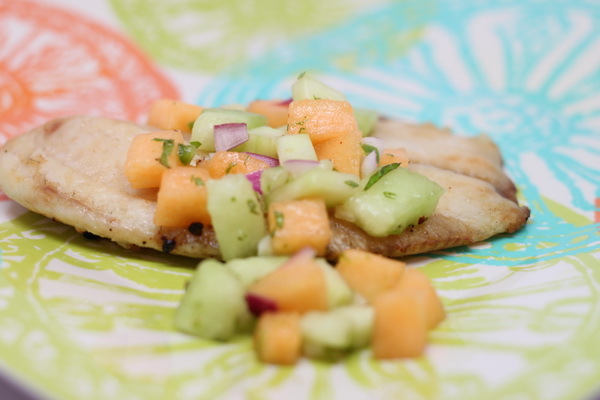 The melon salsa is sweet but has a bite (onions + jalapenos) and is a perfect accompaniment to a simply broiled tilapia fillet. Preheat broiler. Mix first 10 ingredients and set aside. Spray baking sheet with Pam and sprinkle tilapia with salt and pepper and broil 3 minutes per side or until done. 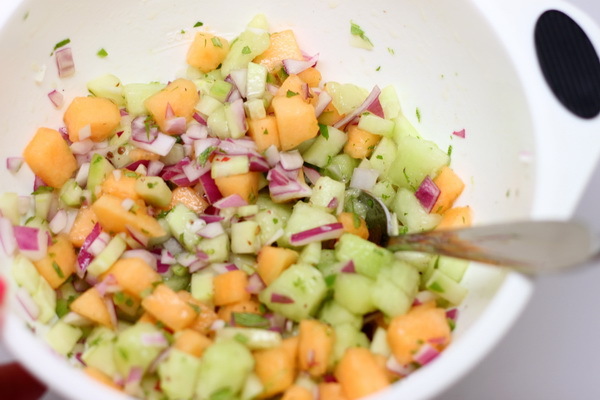 Serve with melon salsa. The fish was so simply done – the ginger butter was really the show stealer here. 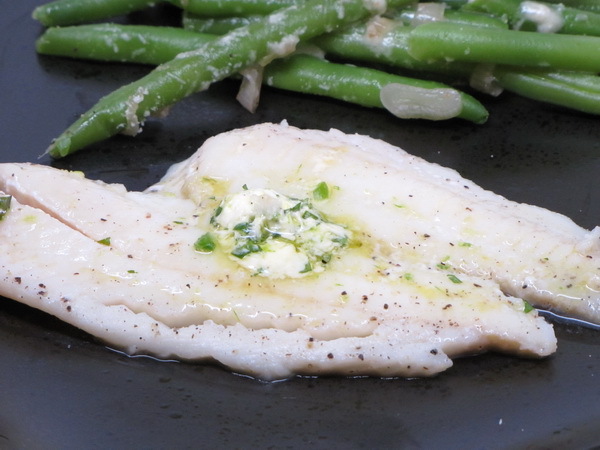 It made plain, ordinary fish into a delightful meal. 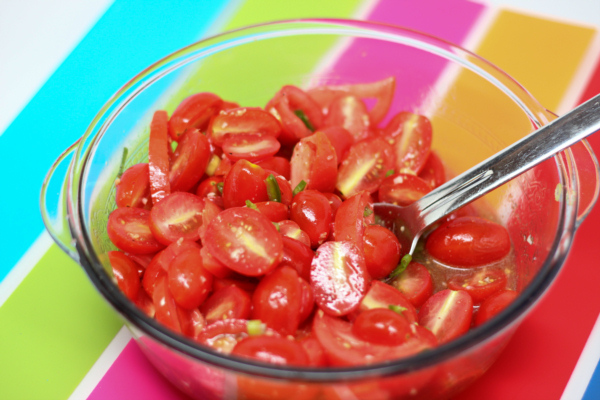 I think it would be equally good on shrimp or chicken – and it makes cooking such a snap ! 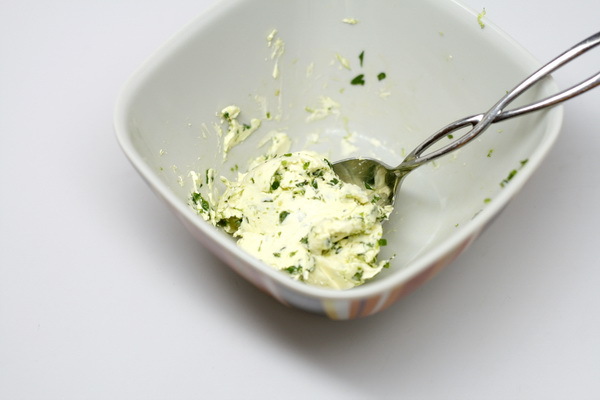 Mix cilantro, butter, pepper, lime, ginger and ¼ t salt. Chill until butter is firm. Heat a skillet and spray with Pam. Salt and pepper both side of the fillets and sauté 3 minutes per side or until done. Plate and add butter pats to the top of each fillet. The jalapeno peppers really kick it up here and add some nice heat. If you don’t like spice, use pickles instead ! Preheat oven to 350 degrees. Mix tuna with salt, pepper and onion powder and divide onto muffins. 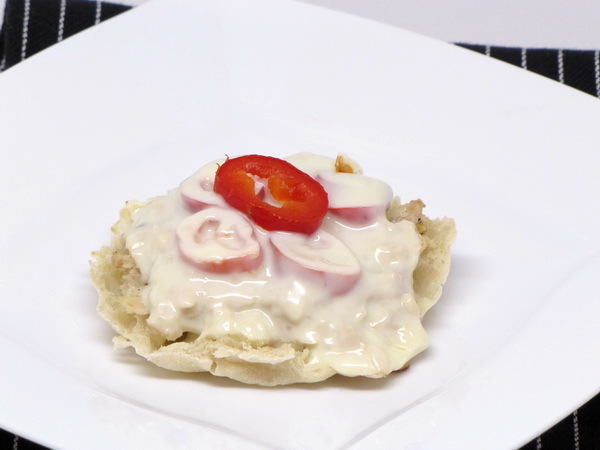 Top with peppers and cheese and bake 10 minutes or until cheese is bubbly. This salad uses Israeli couscous which is a bigger grain and is more like a piece of orzo in size than a piece of pastina. 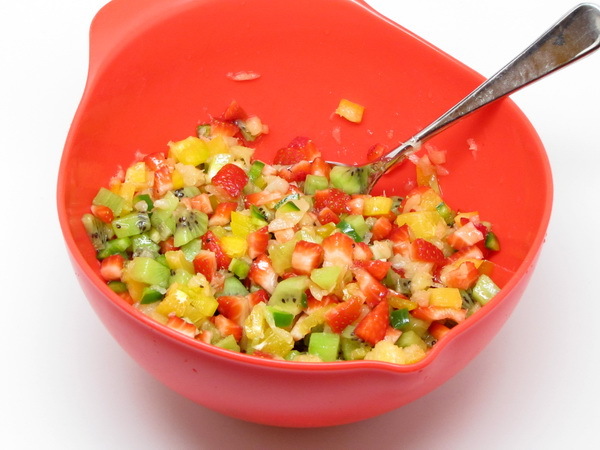 This makes for a heartier couscous suitable for all type of salads. This on is particularly good ! Heat 1 T oil and add couscous. Stir until it begins to brown, about 4 minutes. Then add water and salt and bring to a boil. 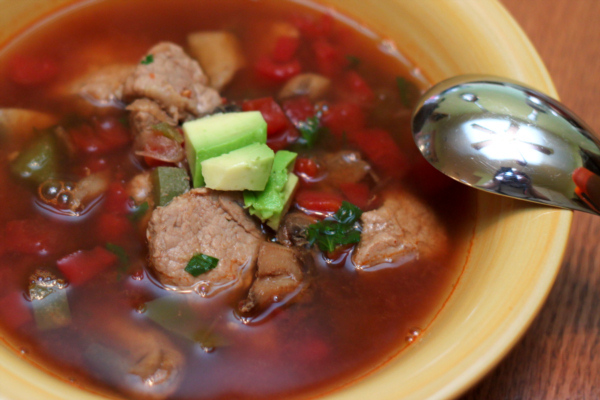 Lower heat, cover and simmer 15 minutes or until liquid is absorbed. Heat 2 t oil in a skillet and cook mushrooms until brown, about 5 minutes. Add salt and pepper and move to a bowl. Add another teaspoon of oil to the pan and cool scallion whites with corn about 5 minutes, season with salt and pepper and add to the mushrooms. 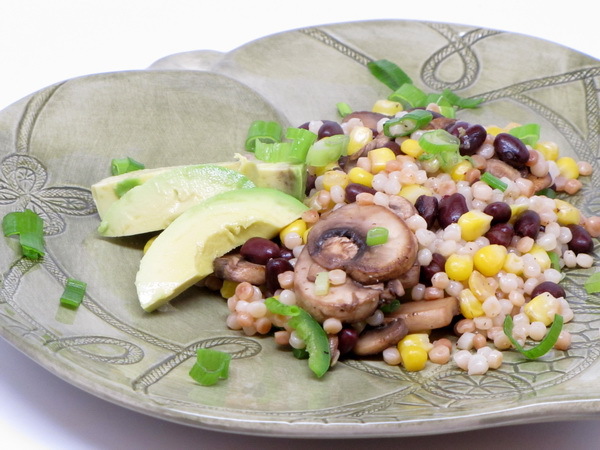 Add couscous, black beans, lime juice, jalapeno and scallion greens to the mushroom mix, season with salt and pepper and divide into bowls. Top with avocado slices. 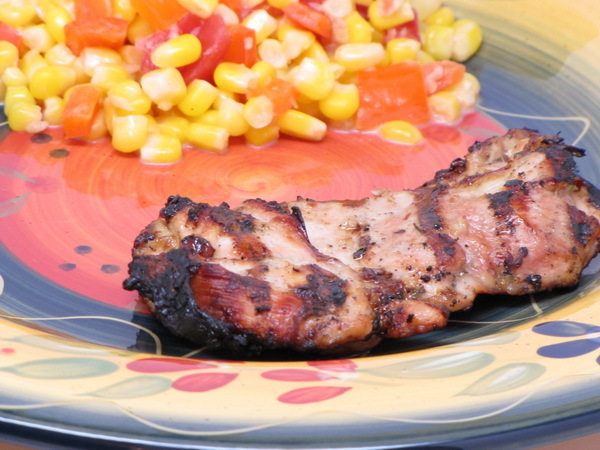 This recipe makes a nice mellow flavored meal full of Caribbean richness and warmth. Try serving with a tossed green salad and some rice. Combine all except chicken and Pam in a large bowl. Add chicken and toss well to coat. Heat a grill pan (or the BBQ grill in the backyard !) on medium high heat and spray with Pam. Cook 5 minutes per side or until done. If you don’t have a grill, just pan fry or broil the ham. 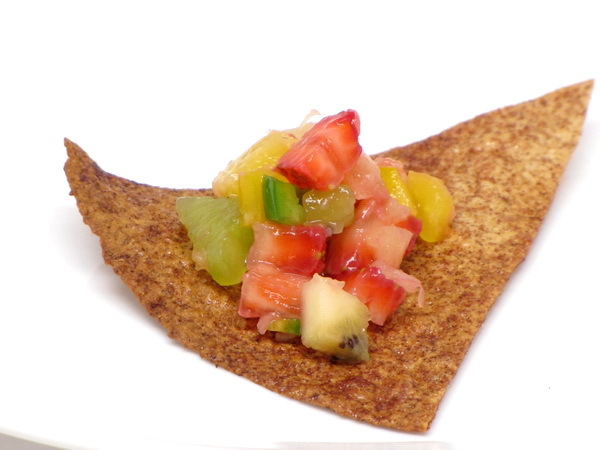 But whatever you do, don’t skip the pineapple salsa – it was just marvelous ! Heat grill. 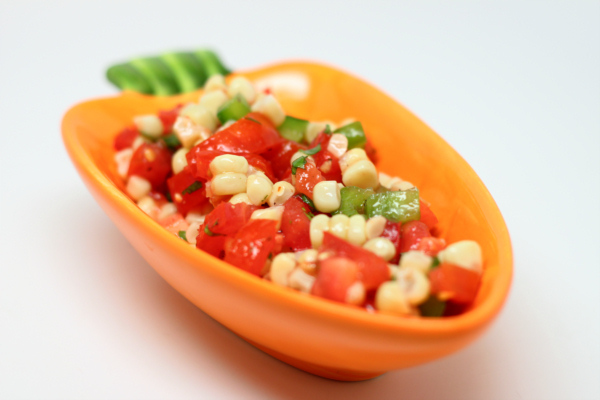 Combine all salsa ingredients and set aside. 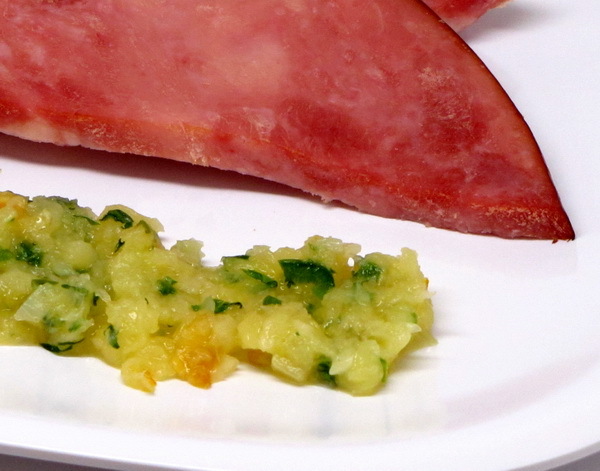 Grill ham 10-15 minutes or until heated through – then top with salsa and serve immediately.